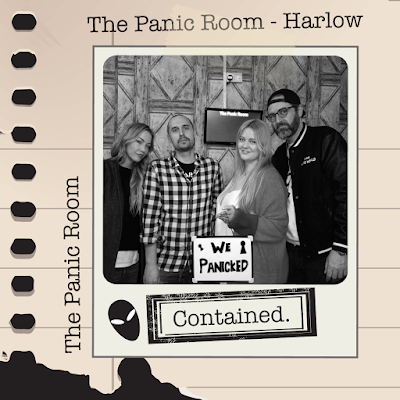 The Panic Room, accessibly located in Harlow's Town Centre promised a trail of puzzles and riddles left within a crazed conspiracy theorists' mansion. He had been found dead having discovered something he shouldn’t have ...clearly someone wanted to keep his discovery a secret! After a run through of the do’s and don’ts in the waiting area from our friendly and engaging Games Master Jess, we were escorted upstairs into the game room where the plot to the game was enthusiastically told. Once Jess left the room and our 60 minute countdown began we were left to complete the puzzles consisting of the traditional lock and key, directional, word and number coded locks - no fancy tech to be found here. 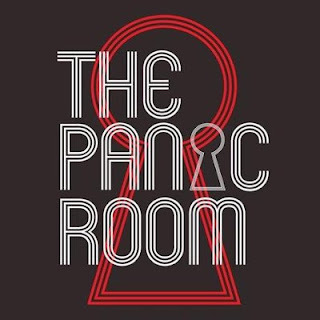 Whilst this isn’t a huge issue given the basic premise of escape rooms - it appeared somewhat dated in comparison to other rooms we’ve visited of late. The furniture fit well within the theming, although the space could have perhaps been better utilised with the inclusion of more furniture and props to investigate. A heater and sizeable air conditioning unit not part of the game cluttered the room, detracting a little from the believability of the theme. The puzzles were a mixture of complexity, with most doable without the need to use your three given clues. However, one particular puzzle (which we were later informed had only been successfully completely a total of five times without assistance) left us feeling somewhat cheated. Another bugbear worthy of a mention was the inclusion of an unnecessarily complex lock. Having deciphered the code needed to open it we found it incredibly frustrating to use. This lock novelly came with it’s own set of instructions so we’re still unsure whenever this is an intentional addition to further add to the time pressure & frustration of your game, or whenever the lock is merely tired and defunct. 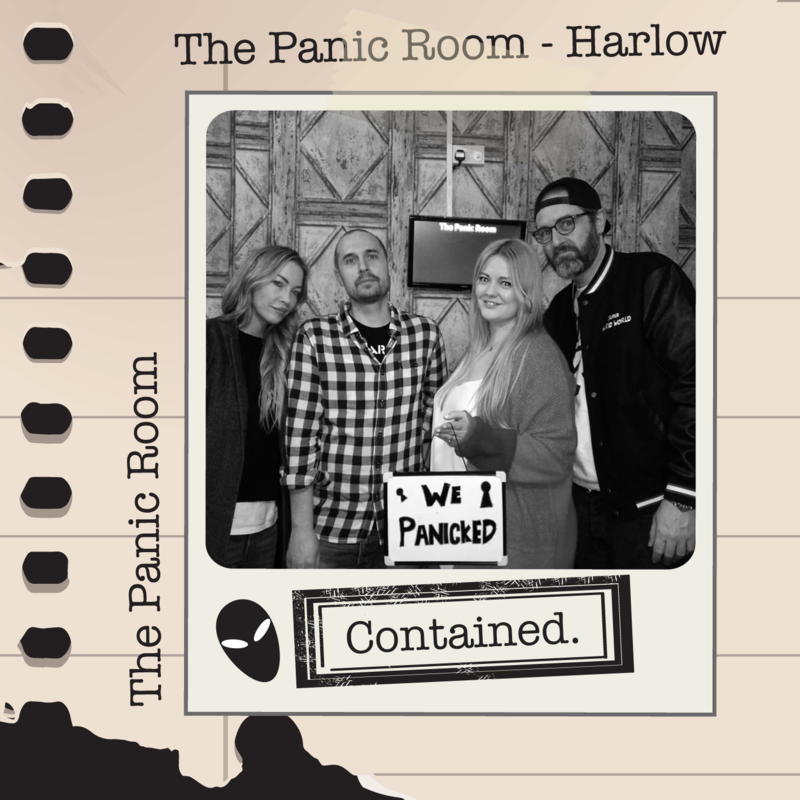 The final puzzle in order to escape had also been erroneously reset prior to our game, so whilst we were close to an escape - and understanding that mistakes happen - it ultimately led to us being contained. In contrast some of the puzzles were very clever and different to those we’ve experienced in other escape rooms we’ve visited. 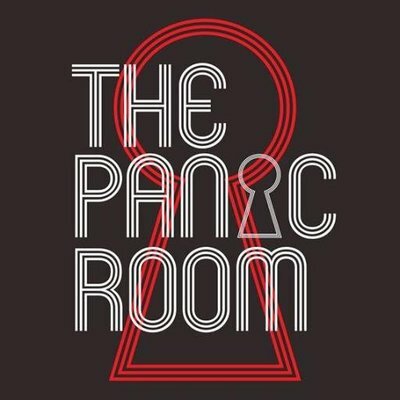 We still enjoyed the room despite it's first generation quirks, with personable Games Master Jess contributing as the stand out positive to our experience. 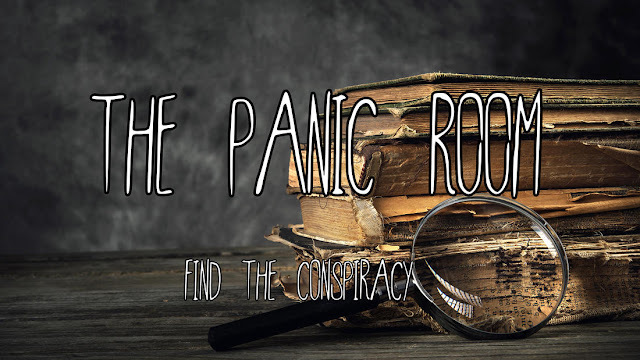 As The Panic Room is due to close soon to make way for a new escape adventure we've concluded that perhaps this is the reason why the upkeep of maintenance here is sadly no longer a priority. We attended with the use of a discount code so didn’t feel too hard-done-by but may have felt differently had we paid the full booking price.